Peace talks with TTP has been a key component of Nawaz Sharif’s policy. Almost immediately after being elected, the PML-N chief extended a hand to the jihadi faction, and though the hand has been slapped back repeatedly by the extremist militants, it remains extended for the time being. Whether or not peace talks are likely to result in a sustainable peace is a matter for debate, but one major media group is pushing not for peace talks but for premature surrender. It is said that the imitation is the sincerest form of flattery. If this is the case, the recently displaced PPP government’s most admiring flatterer is none other than Nawaz Sharif. After taking control of the government since only a few short months ago, the PML-N chief has taken page after page from the PPP’s agenda, claiming it as his own. If his party is elected, Nawaz Sharif has a plan for the economy – reduced taxes for the rich. No, I’m not joking. This is what he actually told Hamid Mir. Listen as two of the most privileged in our society discuss how they think the rich should do even less to support our country. According to Nawaz Sharif, the problem is that the rich are being to asked to contribute too much to their country, and so instead they contribute nothing. The solution is to ask them to contribute less to society in the hopes that they will be willing to do so. In other words, keep cutting taxes on the rich until you find their limit. But the rich have already set the limit on what they’re willing to pay, haven’t they? And it’s not 10 percent, or even 5 percent – it’s zero percent. Nothing. NADRA recently announced the results of its latest study on tax evasion: over 2 million of the richest people in the country pay exactly zero in income taxes. Even more interesting is the fact that there are 1.611 million people who frequently embark on international tours but do not pay a single penny as income tax. About 584,730 Pakistanis have multiple accounts in domestic and multinational banks, but do not possess NTNs. The FBR has bound banks to deduct a meagre amount of less than one per cent at source less tax on cash withdrawals of more than Rs50,000 in a day, but it doesn’t issue notices to bring them under the tax net. Over 56,000 people live in posh areas and more than 20,000 people own luxury cars, but pay no income tax. The solution to this crime – because that’s what tax evasion really is, isn’t it? Stealing from the national treasury? – is not to ask the thief what he is willing to pay, it is to make improvements in enforcement and collection so that the thief learns that stealing is not profitable. It is these reforms that have finally started to improve tax collection in the country. Tax authorities increased revenue generation 28 per cent in the first five months of fiscal year 2011, and earlier this year, improvements in enforcement of the tax laws netted an additional Rs1 billion every month. That doesn’t mean that more doesn’t need to be done, obviously it does. But it means that the current efforts to reforming the systems of tax collection and improving enforcement of tax laws are making an actual difference. They should be allowed – and encouraged – to continue. Giving a tax policy of begging the rich to pay whatever they feel like is a blatant expression of the feudalistic thinking that has dragged the country down and kept us from achieving our full economic potential. Federal Tax Ombudsman (FTO) Dr Shoaib Suddle told the media, “I am the ombudsman of taxpayers and not of tax evaders.” So what does that make Nawaz Sharif? Imran Khan has done it again. His 25th December rally in Karachi drew crowds of people and added more evidence that those of us who easily dismissed his party as a one-man-show may have spoken too soon. The unexpected rise of Imran Khan, though, actually raises some important questions. 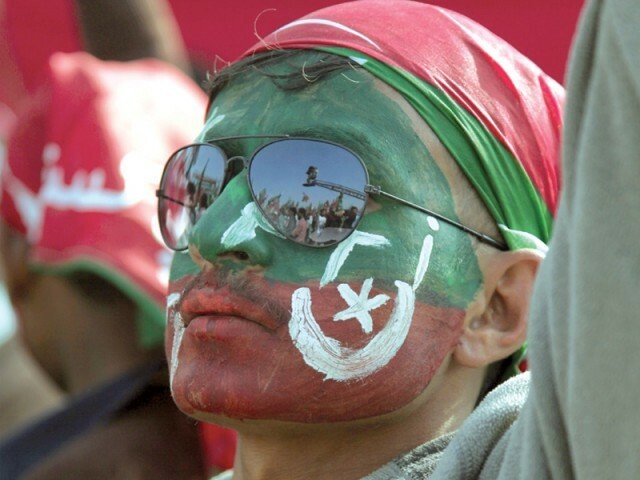 Imran’s rising popularity is largely attributable to his never having governed before – or in PTI-speak, his being ‘untested’. This is a fundamental part of his draw because his message is not really that different from any other political party, only with the other parties, nobody believes they are sincere since they have not achieved what they promised when they were given the chance. So my question is, do we have unrealistic expectations about what is politically possible? Is there any politician who can possibly live up to our hopes? And the corollary to that question – is Imran Khan setting himself up for failure? After years of insisting that there was ‘no place for corrupt politicians in PTI’, Imran Khan himself recently discovered that ‘finding angels to join his party was next to impossible’ and has lowered the barrier from ‘clean’ to ‘repentant’. When I point out that the ‘bigwigs’ who are swelling the ranks of PTI are the same bigwigs that have been governing for years, the responses I get are interesting. Some say that these people were always clean and virtuous, but were held back by the corrupt leadership of their former parties. The usual saying is that hindsight has perfect vision, but with some PTI supporters it seems more that hindsight is perfectly blind. Otherwise, I’m usually told that, yes, these people were dirty and corrupt, but Imran Khan will teach them morals and ‘clean’ them, as if Imran Khan is not an ex-cricketer but a holy prophet. There are a few still who say that, while they continue to support Imran, they are concerned about what the new, watered down version of PTI is going to end up looking like. It’s not just what PTI will look like that is unknown. How PTI would actually govern is something of a mystery also. We all know that Imran looks to Allama Iqbal as his ideological inspiration, but who is his governing inspiration? After all, it’s one thing to talk about what government should be. It’s another thing entirely to actually make those changes. When Zulfiqar Ali Bhutto formed Pakistan People’s Party, he too had a populist message that spoke directly to the hopes and dreams of the people. He spoke of strengthening dignity and national pride while reigning in the military’s involvement in government and of restructuring the economy so that the natural wealth of our nation was more fairly distributed among all Pakistanis. Once in office, though, he found quickly that such promises are more easily made than executed. Bhutto help guide the country to great progress, but he made some mistakes, too. Some of these, like declaring Ahmadis as non-Muslims, were clearly the result of compromises made with religious groups, while others, like nationalising industries, were simply part of the populist economic thinking of the day. 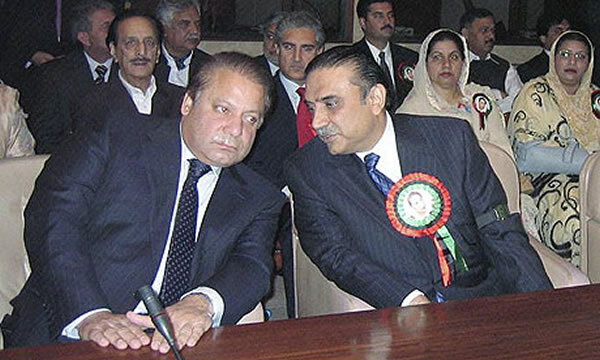 Nawaz Sharif’s PML-N was born in part from deals with the religious parties and military in exchange for the opportunity to undo much of the nationalisation that occurred under PPP and implement a more capitalist economic system. While this too made some achievements, Nawaz quickly learned that structural changes are much easier to promote from a stage than from the desk of Prime Minister. He introduced laws expanding the Islamisation under Zia-ul-Haq to appease his coalition, but when he began to work to repair ties with India by signing the Lahore declaration went against certain interests and even though he started his first term with the blessings of the establishment, he soon found himself in confrontation and, finally, removed. Today, Imran Khan too seeks to compromise with the religious right and advocates economic policies like rejecting all aid and loans from the World Bank and IMF that are also likely to result in unintended consequences. It’s easy for Imran Khan and many of his supporters to propose rejecting all American aid. After all, it affects them much less directly, if at all. But what about the poor who rely on government programmes like BISP that are supported by US aid? Last year the Americans gave $85 million to support BISP. Will Imran and his supporters pay this much extra in taxes to make up the difference? Or are the poor supposed to starve in the interests of our national ‘self esteem’? On the other hand, Imran says a lot of things that sound really great. Imran’s apology to Balochistan at Karachi jalsa is welcomed and a much needed recognition of the situation there, but changing national policies and stabilising the region will require much more than applause lines at rallies. 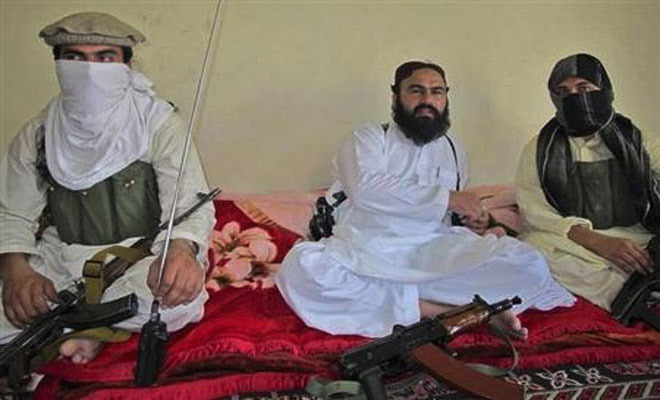 He says he won’t allow any militant group to operate from Pakistan. He says that if he becomes PM, the Army and ISI will answer to him. He says he will set up an “e-government system” which will “automatically eliminate corruption from society”. He promises free legal aid, free health care, free education. He promises that the police will treat everyone equally – from the lowest magnay wala to the PM himself. The tax system will be reformed so that it is perfectly just, and everyone will gladly pay. He says that if elected he will transform Pakistan into a Islamic welfare state with a civil society on par with Britain. The most amazing thing about this list of promises is that my otherwise perfectly rational friends are accepting them with the most delusional excitement. It’s not that I don’t like some of what Imran Khan says, it’s that even if PTI’s ‘tsunami’ sweeps national elections, achieving even a fraction of these changes during one five year term would be next to impossible. Even two terms is unlikely. And how long until the same people who today complain that the present government has been a miserable failure in its three years of governing will decide that Imran has overpromised and underdelivered? Will we then find ourselves hearing that well worn slogan that democracy is a failure and the military is the only competent institution? Lasting change is incremental, and it requires changes in more than just PM’s house – it requires changes in our own values and priorities. We’re no angels, and Imran Khan is no saint. We have been unsatisfied with the inability of every government since day one to magically transform Islamabad into London “in my lifetime”. Imran Khan is making promises that he must know he cannot deliver. It might work to win political support as the untested saviour against Nawaz Sharif, Asif Zardari, Altaf Hussain and the other regular guests. But what happens if Imran actually manages to get himself elected? Perhaps we should stop placing all the blame on incompetent politicians, and start thinking about whether what we want can ever be delivered by any politician, or whether we’re looking for angels. “Free Judiciary = PPP Hanged”. So read one of the signs held in the background of the Beygairat Brigade’s “Aalu Anday” video. Though cloaked in an upbeat tempo, it was nonetheless a chilling reminder about the 1979 Supreme Court decision to hang Zulfiqar Ali Bhutto. It was a reminder that our courts are not insulated from the chaos of our political realm. Discerning eyes in our country are alarmed at the demonstrably political direction the Supreme Court has taken on Memogate. The sordid saga has confounded all sentient people. Our able and adroit Ambassador to the US, Husain Haqqani, resigned amid allegations he crafted a memo to Admiral Mike Mullen delivered via Pakistani-American businessman Mansoor Ijaz. The memo asks the US government for help as the civilian government feared a military coup after the Abbottabad raid in May that killed Osama bin Laden. This tale of intrigue comes to us from Mansoor Ijaz himself, in an op-ed in the Financial Times. Ambassador Haqqani has strongly rejected these allegations, and stated the furor surrounding the letter was being exploited by the opponents of democracy in Pakistan. He offered to resign in order to put an end to the controversy, and vows to challenge these claims in court. And that is where we are now. The Supreme Court has agreed to hear the petitions regarding the memo. Thus far, the Court’s decisions have been very disappointing and one-sided. The Court has barred Husain Haqqani from leaving the country for the duration of the investigation it will carry out. A lead petitioner for that ruling was Nawaz Sharif, leader of the PML-N, the major opposition party to the PPP and its governing coalition. Remarking on the speed with which the Court heard and ruled in favor of Sharif’s petition, the writer Nadeem Paracha tweeted “CJP or CJP-N?” It would be funny if this weren’t scary. There are absolutely no grounds for putting Ambassador Haqqani on the Exit Control List. He has acted in the most dignified, respectable manner from the onset of this manufactured crisis. It is all entirely based on hearsay – a fantasist’s words that cannot be substantiated, at that. If the Court wishes to intervene, it must do so fairly. Barring Ambassador from leaving the country flies in the face of fairness, especially since the decision was taken without any consultation or testimony from Ambassador Haqqani himself. He has granted multiple interviews to various media outlets, each time affirming his love and loyalty to Pakistan, and his desire to return home to deal with this controversy. Leading Pakistani lawyer, rights acivist and first ever female President of the Supreme Court Bar Association Asma Jehangir was so outraged by the sheer bias and politicking of the court, that she has committed to representing Ambassador Haqqani in this case. Ms. Jehangir filed a petition with the court to remove Ambassdor Haqqani from the ECL (Exit Control List), arguing that the court’s decision seemed to be highly influenced by the outrageous media, and appeared strongly politically biased. She emphasized the ECL Ordinance of 1981, which stated only the federal government could place individuals on the ECL, and as Nawaz Sharif had not filed any such petition to the government. Therefore, the court bypassed a procedure required by the law. “Continued control over the investigation exercised by the court is prejudicial to the accused and detrimental to the fairness of the procedure apart from being without jurisdiction. The court cannot assume the role of the investigator,” the application further added. The Supreme Court rejected the application, saying that a review petition should have been filed instead. One wonders how the Court, so interested in intricacies, could have been the same Court that didn’t know about the 1981 ordinance. “We will file an appeal against the rejection of the application before exploring the option of filing a review petition,” said the tireless Asma Jehangir to reporters outside the Court’s steps. She also demanded to know why the Court failed to take into account Ambassador Haqqani’s repeated statements expressing his desire to cooperate and clear his name? He is working with the Parliamentary committee to investigate the details of the memo, and his wish to clear his name is evident to all. Why then, Ms. Jehangir asks, did PML-N move to take their petition to bar the Ambassador from travel all the way to the Supreme Court? It is pure politics, and it is shameful that the Court has allowed itself to be manipulated this way. If we are to be a sustained democracy, it must come with a clear understanding of separation of powers. While we do have clearly laid out roles, it seems our institutions lack an understanding of just what exactly, their responsibilities are. The Supreme Court should not need reminding of laws, and should instead be the force in our country that upholds them. It has a hallowed role in our country’s democracy, but it is not a political one. It must be fair, listen to all parties, and rule justly. And most importantly, it should not need reminding that one is innocent until proven guilty – not the other way around.